It wasn’t too long ago that many people considered solid wood flooring as the one and only actual floor. With the advent of a variety and abundance of engineered wood floors products available, it’s quite natural for a homeowner to be confused. The truth is it’s not as confusing or complicated as it may seem. The behavior of wood floors is a little different in relation to plank floors; they are seemingly easier to install and are usually inexpensive in comparison with solid planks. Once Flooring Town Group installs engineered flooring, it would have the look and feel of a solid plank floor. Even an expert on flooring would be easily deceived by our installation of wooden floors. Although both categories of wood flooring would to a naked eye look exactly like natural wood in a home, in reality they are entirely different. When planks should be used and when hardwood engineering flooring is a matter of confusion for many people. Engineered wood floors is also known as manufactured board, man-made wood or composite wood includes an entire range of manufactured wood products bound and gagged or the strands, boards of wood, finish, fibers or particles are glued with adhesives, or by using other methods of fixing so that a composite material is formed. These engineered flooring products are designed with precision according to specifications of our clients and comply with both national and international benchmark. 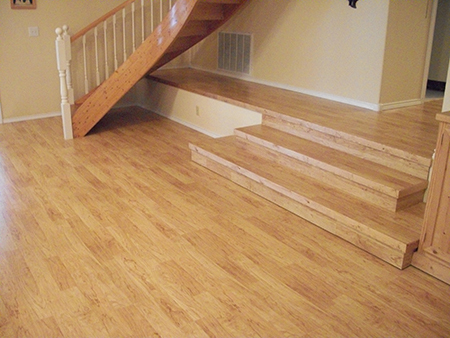 Engineered floors are unique flooring that cannot be damaged by fire or flooding. It’s well-made and solid wood installed flooring that would enhance the interior of a home with warmth, character, and value. However, the fact is that each and every wood floor isn’t the same. 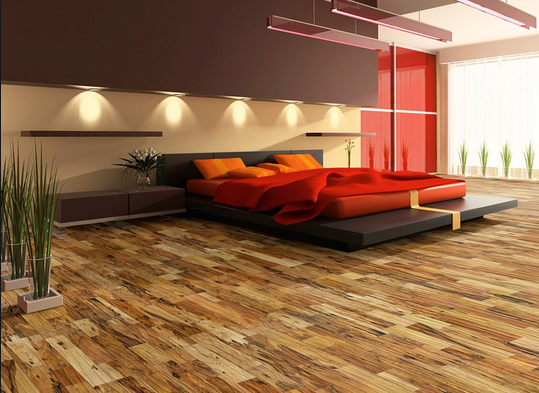 There are varieties of wood that have characteristics that are suitable for floors. We are here to help you understand these characteristics. Once you know more on the subject, you would be able to take an informed decision about the type of wood flooring that would be appropriate for you. Engineered wood floors as well as solid wood floors are two entirely different kinds of floors and there are situations when one would be more appropriate when comparing with the other. Conventionally, engineered wood products use the hardwood that is used for lumber manufacturing. Scraps from sawmill and other byproducts of wood are used for engineered floors that are composed of fibers. An entire log of wood is used for the finish; particle board, or plywood for example. Opinions, however, do vary with regard to the technique of building engineered flooring. Moreover, it’s not that all quality wood floors are the same. Therefore it’s imperative to gain knowledge and understanding by inquiring with us as we are both manufacturers and distributors who can educate you about the products we sell, and ensure the products you pick are appropriate for your area and a specific purpose. To find out more about us and the gamut of floor products that we offer, please do get in touch on our landline which is 818-759-7030. Alternatively you could email us at info@flooringtowngroup.com as well.